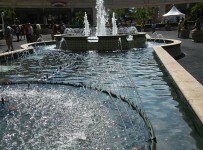 The Rainbow 6 carryover at Gulfstream Park has grown to $1,342,034 for Thursday. Meanwhile, Gulfstream has set this Saturday Feb. 9 as a mandatory Rainbow 6 payout day—regardless of the number of tickets with the winners of all six Rainbow 6 races. 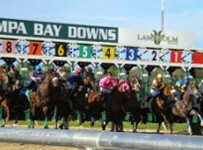 First post on Thursday is 12:35 p.m. for a ten-race card. The Rainbow 6 is on races five to ten with the sequence scheduled to start at 2:37 p.m. The carryover has grown to one of its all-time highest levels because Gulfstream has gone 21 straight race days without the jackpot payoff requirement of just one ticket with the winners of all six Rainbow 6 races. The jackpot is comprised of the entire coming in carryover plus 80 percent of the day’s new Rainbow 6 bets (20 percent takeout). 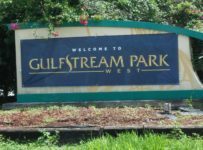 Except for mandatory payout days, Gulfstream does the following with the day’s new Rainbow 6 bets when there multiple tickets with all Rainbow 6 winners: 20 percent is taken out; 56 percent is divided among tickets with the most winners (usually six) and 24 percent goes into the carryover.